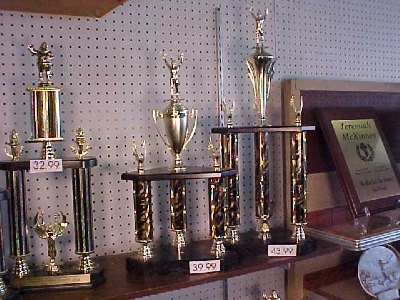 John Gadberry has been taking care of your trophy and plaque orders for 35+ years. 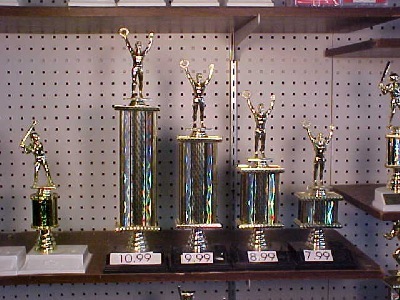 We help organizations, churches, and schools give their participants the recognition they deserve. We can help with any event, baseball - softball tournaments, seasonal awards, athletic and school awards, pageants, all sports, church events, retirement awards, car and motorcycle shows. You can either give John a call, fill out the form to your right to describe what you need, or shop our online catalog. 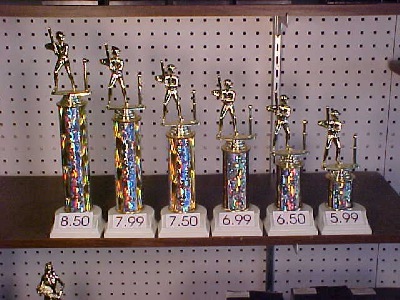 From one trophy for one kid to an entire leagues trophies - give John Gadberry a call.